State Street, North of the Palmer House. Souvenir of Chicago showing the view down State Street, pedestrians and streetcars. E. C. Kropp. 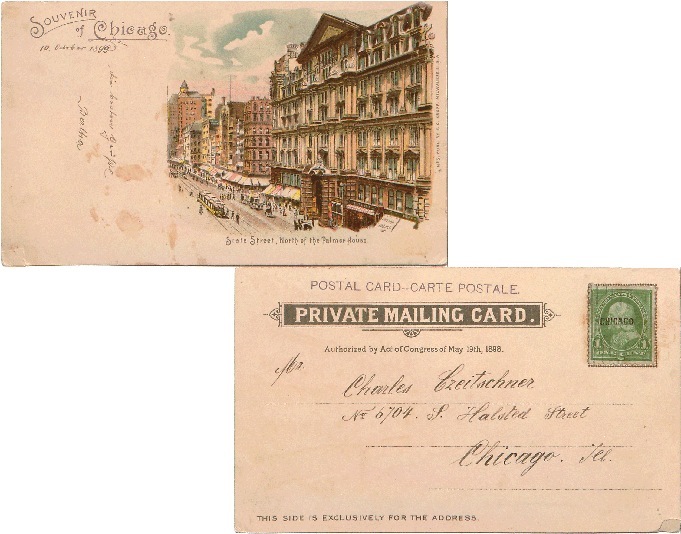 Private Mailing Card postally used October 10, 1899. Small tear bottom left corner. 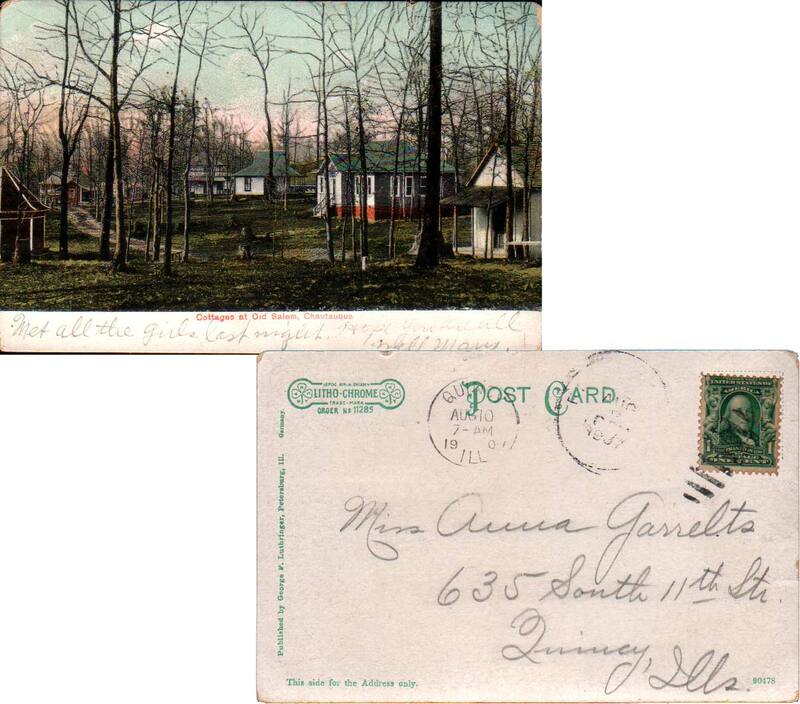 Medical Training Center, Camp Grant, Illinois. Curt Teich & Co. 1B-H811. Linen. Unused. The Nebraska Zephyr�Daily Between Chicago, Omaha and Lincoln showing two locomotives on the Burlington Route. 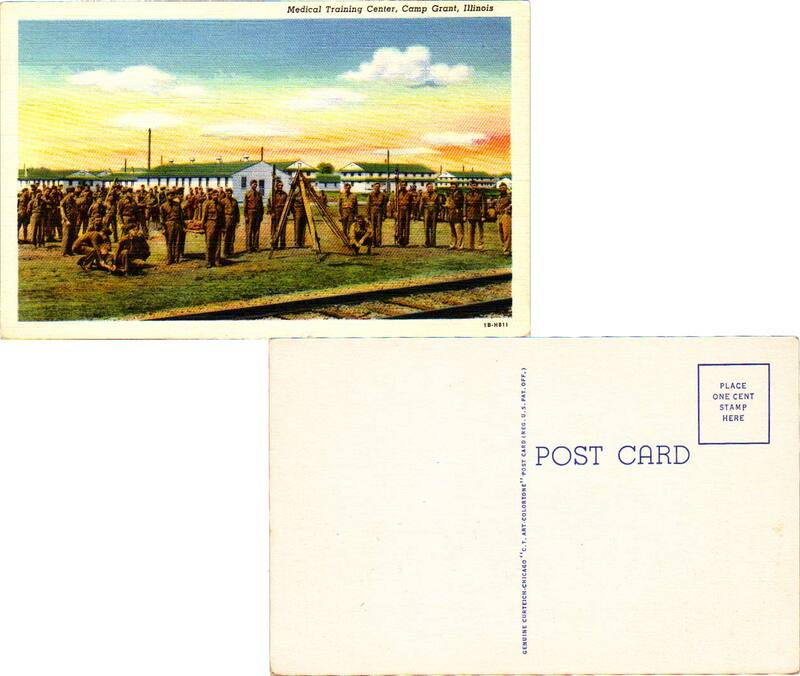 Postally used November 29, 1948. Crease at top right. Excursion Steamer 'J. 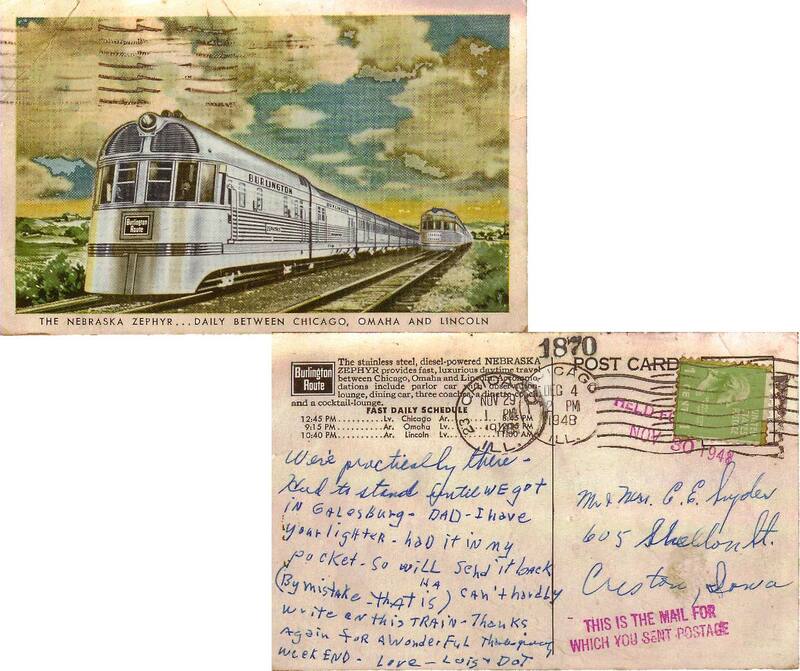 S.' at Rock Island, Illinois. Showing the paddle wheeled steamer preparing to embark on the excursion. 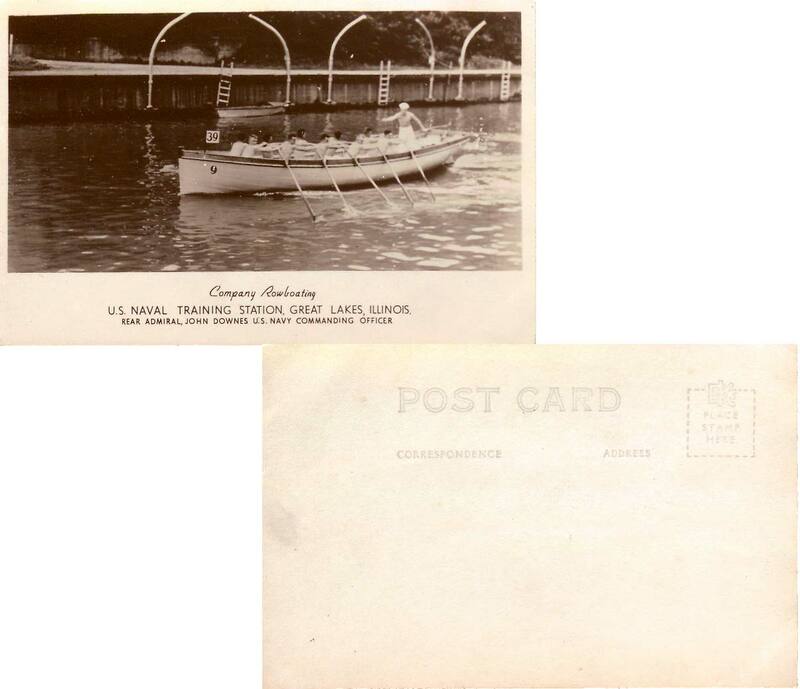 R.I. Post Card Co. Postally used June 7, 1910. Minor edge wear. 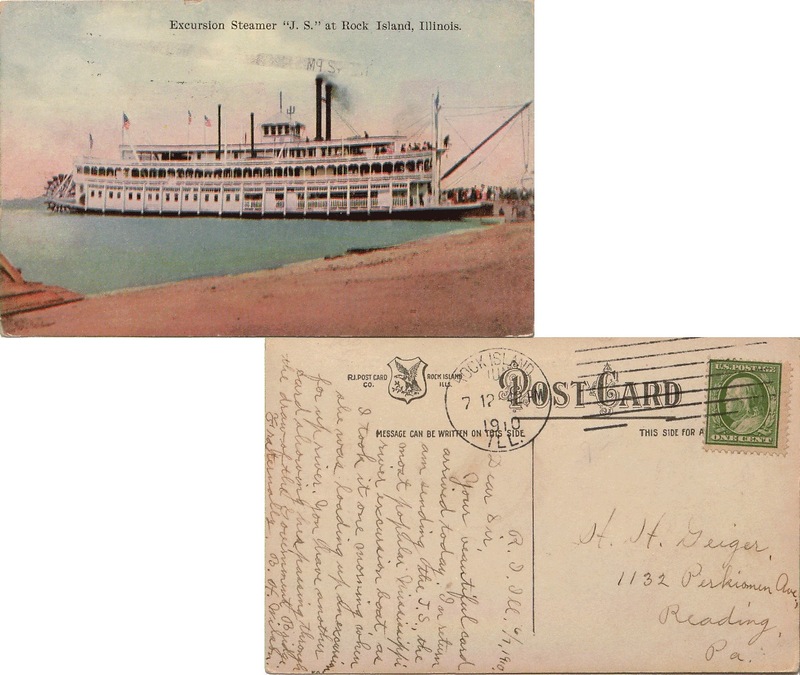 Five Deck Excursion Steamer 'St. Paul' and Alton Bridge, Alton, Ill. Showing the ship underway on the river with the bridge in the background. Curt Teich & Co. Divided Back. Excursion Steamer 'Alton' at Alton, Ill. Showing the ship docked with passengers onboard. F. M. Kirby & Co. Postally used August 1, 1910. Some edge wear and small crease bottom left corner. 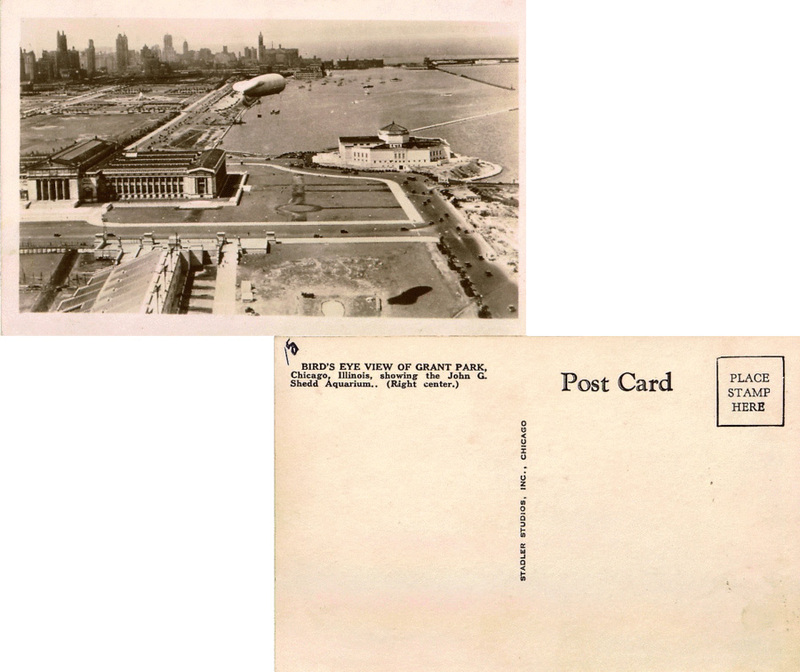 Bird's Eye View Of Grant Park, Chicago, Illinois, showing the John Shedd Aquarium and city skyline in background. Real Photo. Stadler Studios Inc. Divided back. Cottages at Old Salem, Chautauqua. George F. Luthringer 90478. 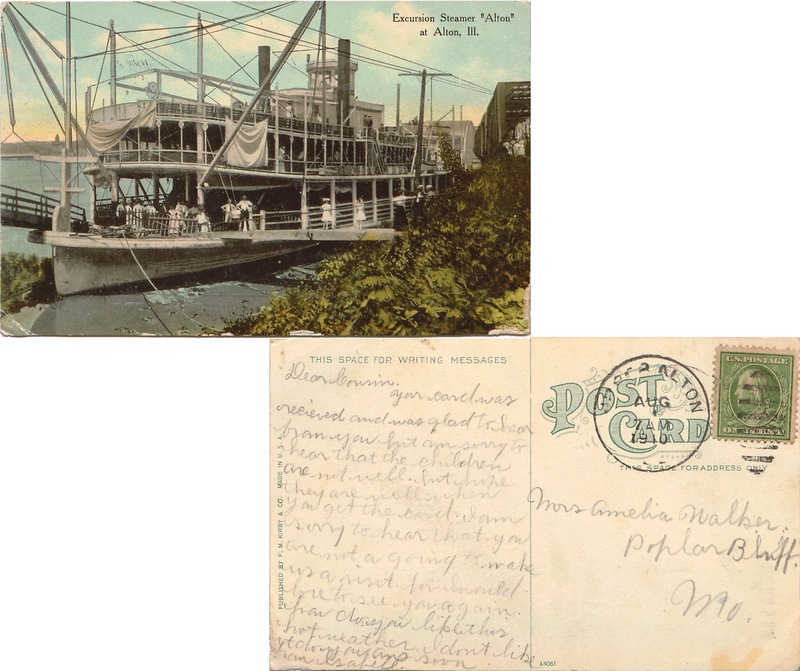 Postally used August 10, 1907. Some edge wear and view side writing. Main Building, Insane, Asylum, Elgin, Ill. Edwin Hall. 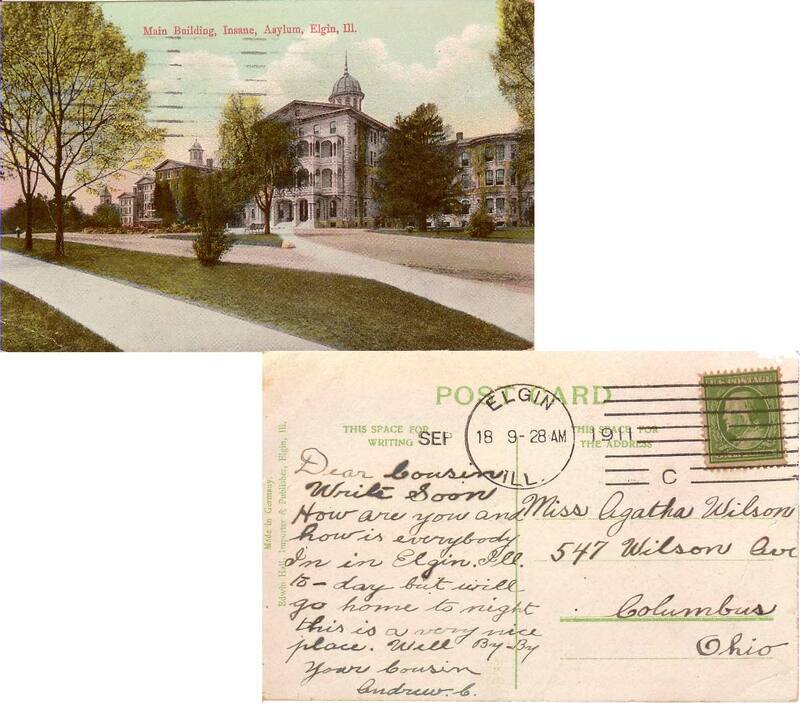 Postally used September 18, 1911. Crease at bottom left and some edge wear. Company Rowboating. U. S. Naval Training Station, Great Lakes, Illinois. Rear Admiral, Johns Downes U. S. Navy Commanding Officer. Real Photo EKC. Unused. Slight crease at top right.